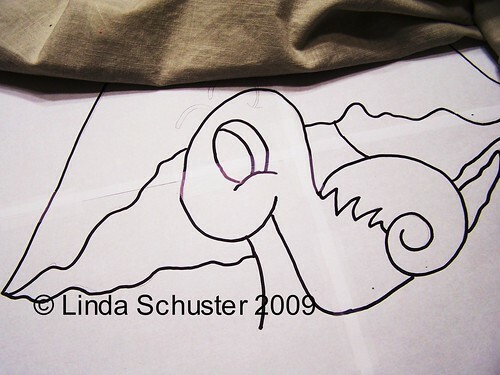 Posted on July 16, 2009	by Linda S.
I taped 4 pieces of 8 1/2 x 11 paper together and drew it out. Then as I was copying each piece onto an individual piece of paper, I used a marker to darken it. This way I could keep track of what I had done. This entry was posted in Crafts, Fiber Preparation, Handcraft, Handwork, Needlework, Personal, Quilt, Sewing. Bookmark the permalink.